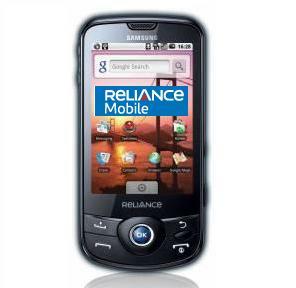 Reliance Communications today announced the launch of SMS based voice conference calls as an extension to its product Group Talk, a handset independent Mobile Conferencing service. The Group Talk service subscription is offered at a Rs 40 per month this innovative group-oriented service will be made available to all Reliance Mobile GSM and CDMA subscribers using any handset through the ‘SMS based Mobile Conferencing’. The Group Talk service will enable Reliance Mobile customers to establish a conference call amongst a group of 9 contacts with a single SMS. Group Talk was launched early last year as a Mobile Conferencing Service to offer mobile conferencing service on handsets with Java, Brew, Symbian operating systems and Blackberry handsets. Now, the enhanced service launched today offers mobile–centric conferencing facility from any handset. The new service helps all Reliance customers to stay connected in a more convenient way with families, friends and communities. Postpaid subscribers can dial the unique number given at the time of group creation, which in turn will dial all the group members within the group to establish an instant call conference.Subscribers can also download the Group Talk application from RWorld and install on their handset if the handset supports this application. instead of this they should launch sms forwarding at normal cost or group sms (send sms to one number it will delivered to all numbers which are already in that group).